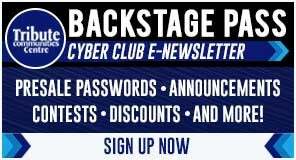 Join the Tribute Communities Centre Backstage Pass for FREE and receive e-mail newsletters full of event announcements, contests, special offers, and most importantly, presale passwords so YOU can purchase your tickets before the general public. 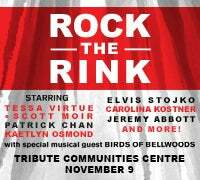 The Backstage Pass is your entertainment guide to what’s happening at the Tribute Communities Centre; it will keep you informed on all special events and will provide you with access to the best seats when available. Backstage Pass Member Pre-Sales will typically occur the day prior to the public on-sale so you have access to some of the best seats in the venue! Your pre-sale password will be sent to you 1-2 days before the presale is to begin. Be the first to know; join now! 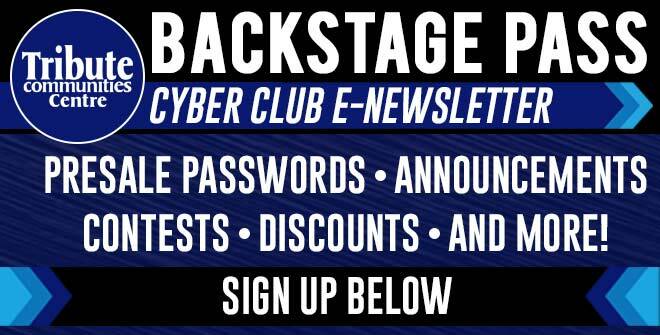 *To receive presale codes for an event, you must be a member of the Backstage Pass Club at least 24 hours prior to the email being sent out to members. If you are not a member by that deadline, the newsletter with the code will not reach you.